This month, ex-NAPSA Director Vasilios Sotiropoulos won the top prize in intern research from Monash University. Here he speaks to the AJP about his most recent pharmacy adventures. 1. Where are you currently working and how long have you been there for? 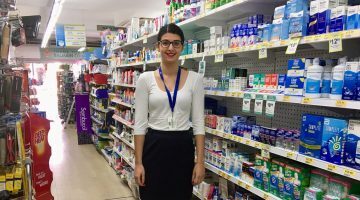 Currently, I work at Austin Health in Melbourne as an Intern Pharmacist. I have lived my whole life in Adelaide and completed my Bachelor of Pharmacy (Honours) at the University of South Australia in 2017. However, I had some personal and career goals that I wanted to achieve and so I decided to leave Adelaide to pursue a career in Melbourne. After a rollercoaster year, I managed to pass the requirements of the internship, and am now looking forward to commencing the next chapter of my career at Alfred Health next year. 2. What kind of work does your role entail? Generally as an intern, the aim is to gain the foundation skills required to be able to practise independently as a registered pharmacist. This learning involves a mix of developing clinical knowledge, problem solving skills, time management and prioritising tasks but – most importantly – teamwork and communication. At Austin, I have had the opportunity to undertake breadth of clinical rotations including geriatrics, oncology, urology, cardiothoracic, critical care, emergency, liver transplant, orthopaedic surgery, and general medicine. In order to meet the requirements of the internship, I have also been involved in sterile and non-sterile manufacturing and outpatient dispensary, servicing patients with conditions such as Hepatitis B and C, HIV, pulmonary hypertension, haematological cancers and solid tumours, and liver and kidney transplant – to name a few. Without a doubt … the part I love most about pharmacy is spending time talking to patients and understanding their needs regarding their medications. 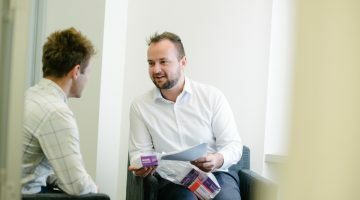 As a hospital pharmacy intern, the core tasks I undertake on a daily basis address the entire duration of a patient’s stay; these involve undertaking best-possible medication histories from newly admitted patients, medication reviews, and providing education and counselling to patients on discharge. In amongst this, I am constantly talking to medical and nursing staff to reconcile medications, making recommendations regarding patients’ therapies, and helping co-ordinate the timely discharging of patients. Each of these tasks are carried out under the supervision of a registered pharmacist, however we tend to be given more and more independence and responsibility as we grow more competent in our ability to practise. During the year, time on the wards is balanced with tutorials, exam study, research, and regular catch-ups with my preceptor. 3. Which parts of your role have been your favourite so far? Without a doubt, time spent on the wards has been my most favourite. The part I love most about pharmacy is spending time talking to patients and understanding their needs regarding their medications. 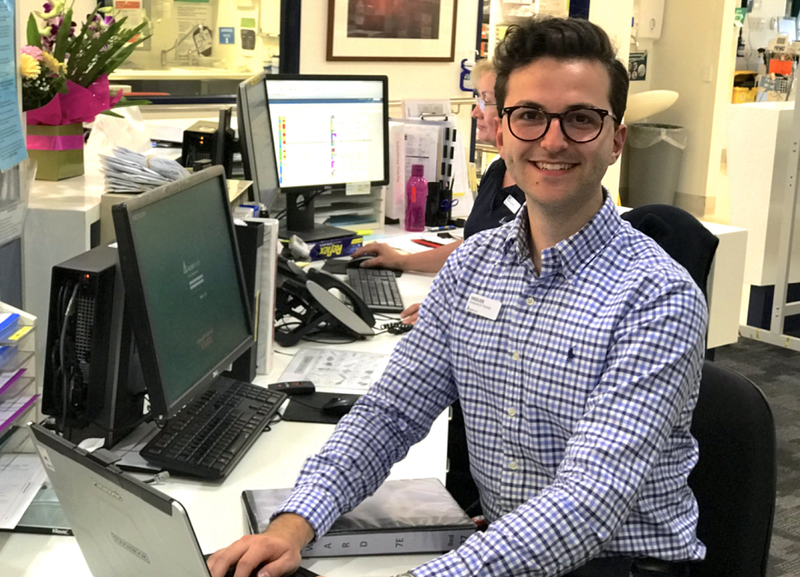 We, as pharmacists, make an enormous contribution to the health and wellbeing of people in the acute hospital setting and the community, by ensuring the safe and appropriate prescribing of medications. In hospital, it is more often the case of what has gone wrong that led to a hospital admission and how I can utilise my skills to help prevent this from re-occurring. Patients are very thankful for assistance, particularly Greek patients who speak only limited English and rely on my ability to speak Greek with them, and this is what I find most rewarding. 4. 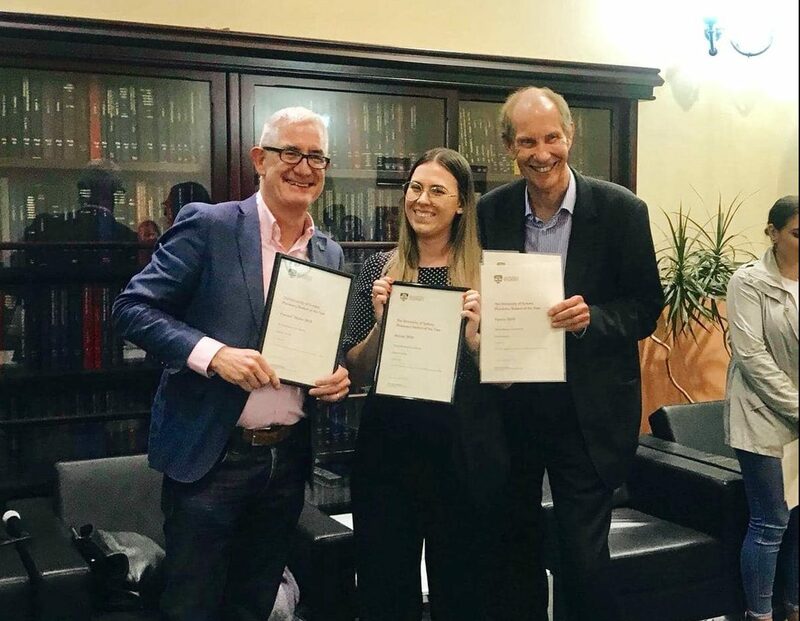 How did you feel winning top prize in intern research from Monash University Pharmacy Intern Foundation Program in November? I was honestly quite shocked and speechless when they announced my name (and to an extent, still am!) It was certainly a nice surprise, and I’m very glad I enrolled into the program to have the opportunity to undertake a research project. Whilst the award wasn’t something on my radar, it was nice knowing that the hard work was recognised. 5. Tell us more about your research into hepatitis treatment. My research project investigated the real-world costs to treat patients with chronic hepatitis C virus infection with Epclusa through Austin Health. Chronic hepatitis C virus infection affects 284, 000 people in Australia, and leads to liver transplantation in 40% of those left untreated. Epclusa consists of sofosbuvir and velpatasvir, two direct-acting antivirals which when used in combination, have the ability to eradicate all genotypes of the virus in 99% of cases. These medications, however, come at a significant cost to the government. The findings from our cost-analysis showed it cost approximately $67, 282 to successfully eradicate a patient with a standard 3-month course of Epclusa, inclusive of consultations, diagnostic and pathology tests, and dispensary staffing; when extrapolating this to the 74, 200 people living in Victoria with chronic hepatitis C virus infection, the cost reaches almost $5bn. Whilst this figure seems large, it is almost half of the cost required for a liver transplant in the first year. The goal for Austin Health is to now advance the project into a pharmacoeconomic study to assess real-world cost-effectiveness. Get in touch with Vasilios on Twitter and LinkedIn.